we went on a little roadtrip through poland early 2008, visiting wrocław and krakow. 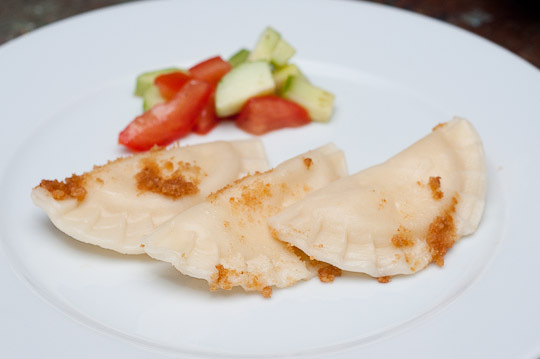 among the many nice things we ate were pierogi ruskie. i, and i guess most people, thought this means russian pierogi, which is kind of funny since in russia pierogi (or rather piroshki) are something that is baked in the oven. but as i learned here, ruskie is actually an old Polish word meaning Ukrainian. In old Polish Ukraine was called Rus [from the word Ruthenia], and Ukrainians Rusini. 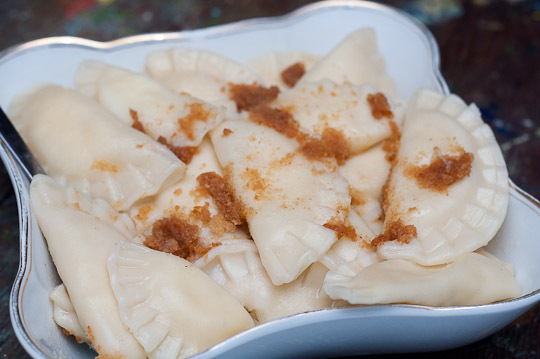 Therefore the name pierogi ruskie would translate as Ukrainian pierogis. you live, you learn. mix salt and flour, add butter and water and knead well for about 8 minutes. chill in the fridge for an hour. cook onion in butter until soft and golden. mash potatoes with a fork, then mix with quark and onion. season with salt and pepper. cook for 3-5 minutes in boiling salted water. 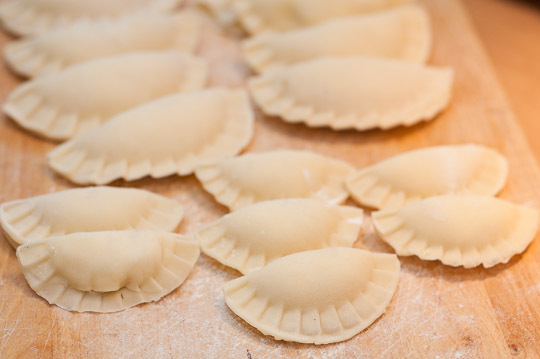 the pierogi are done when puffed and floating atop. put in a bowl and cover with brown butter to prevent sticking. 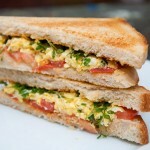 serve with breadcrumbs fried in butter and sour cream or yoghurt. another version is to serve them with onions and diced bacon, fried in oil.